Cooking In A Simple & Smart Way!! 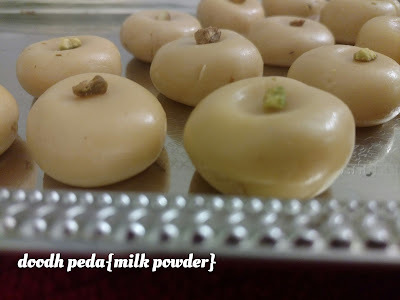 Effortlessly Sweet Recipe...Done in minutes..
No Maida.. very simple and easiest recipe. Mix everything in a pan on low heat until it's thick..
Later its warm... make PEDA'S. 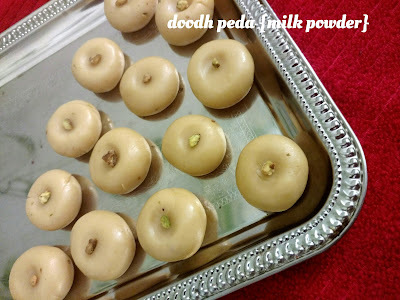 I have come across many cooking websites where the dish needs plenty of ingredients and lengthy instructions, so I have created a new blog which has new dish and all the dishes we know but with fewer ingredients and easy instructions so that we learn quick and easy way of cooking and this gives me much time to spend with my little one's!!!!!!!!!! !